When we were wedding planning, one of the things that I weirdly obsessed about the most was the decor. I started off wanting to collect all these glass containers, and have single buds in them down the table. Then I wanted to do all different color flowers. Then I wanted all white. If you look at my Pinterest board, you can see how all over the map I was at the beginning. I was fairly certain that I wanted everything to look really fresh and not too theme-y. 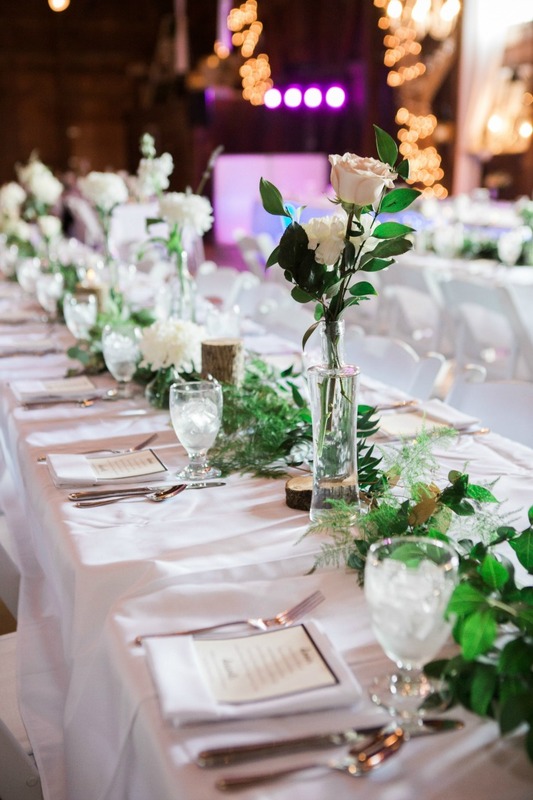 At first, we were going to try to do the flowers on our own, by ordering a bulk shipment of flowers and arranging them into the small vases. Then I met with a Fabulous Flowers and Gifts, who gave me a freaking amazing price quote for all the stuff I wanted. It was just common sense to go with them. Sometimes it just makes more sense to leave these things to the professionals. Boy, am I glad that we did. There have been photos of the flowers in most of my posts so far, and they are just perfect. They are subtle but beautiful and gave the fresh feel that I was looking for. 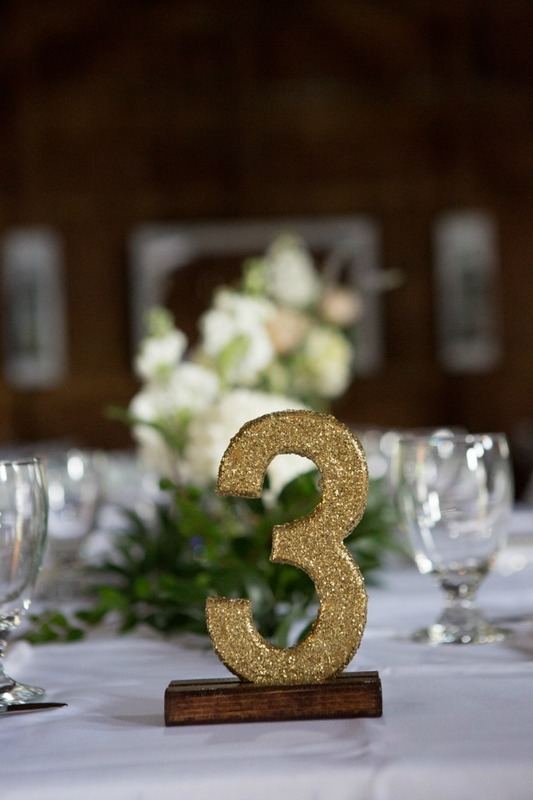 I pinned a photo with these same glitter table numbers on it. My mom and I tried SO HARD to get them to look like the photo, but in the end, they were just crappy. She found the table numbers we used on our local Facebook Wedding Swap group. You can see through the details that I am pretty monogram obsessed. 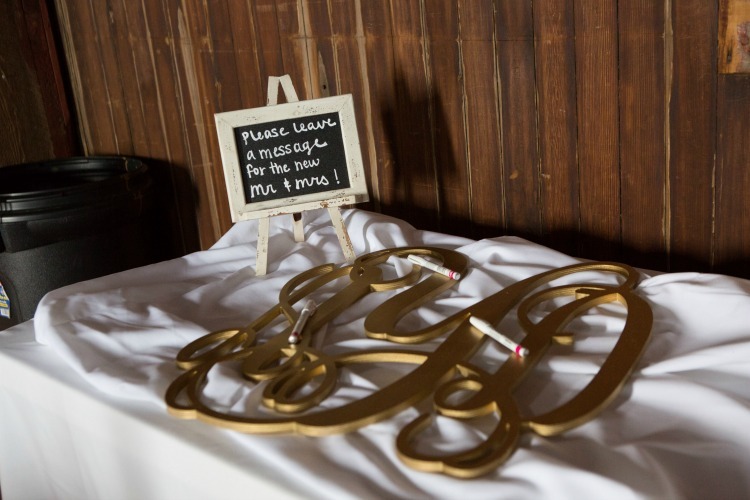 I knew that I wanted to use our monogram as a guestbook. 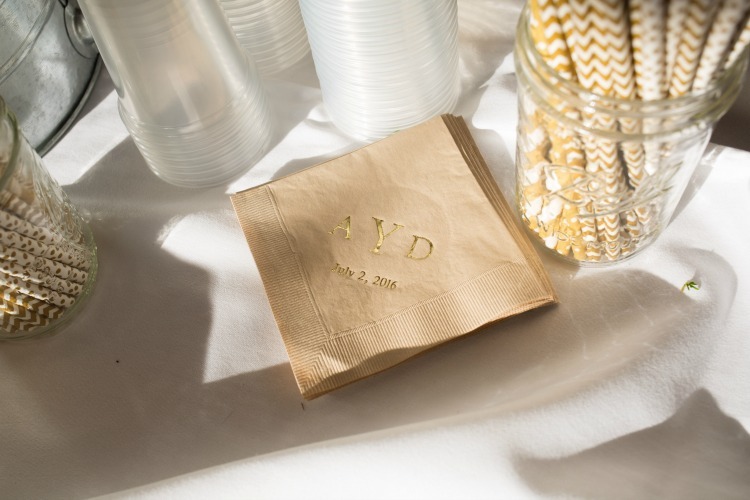 The idea came from Becca, and I purchased the monogram from Monogramsy Letters on Etsy. 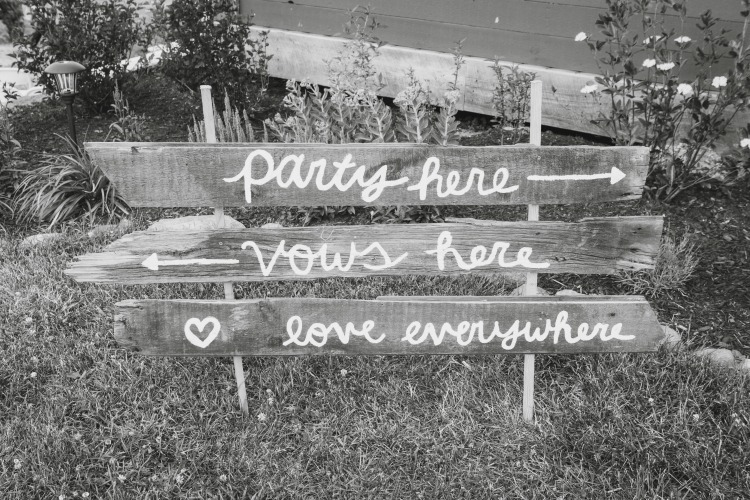 I love all the wedding signs that you see everywhere, but honestly, I think they are getting a little bit overdone. Some of them are important, though, so I wanted to do handwriting so that everything would feel very genuine. 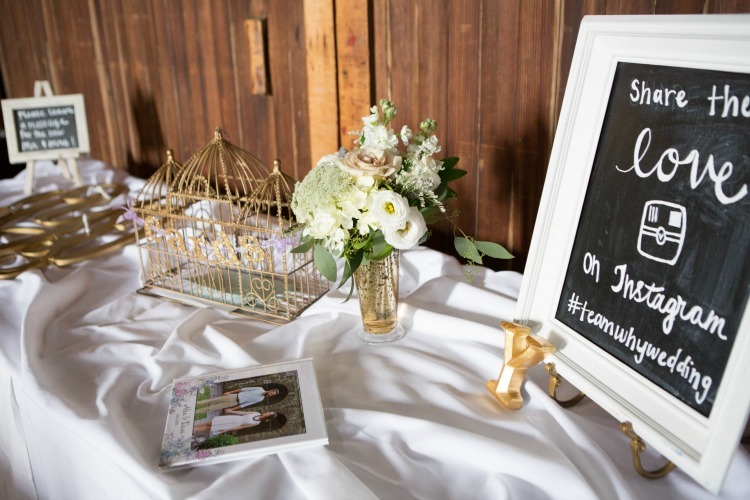 Below is a photo of one of my favorite DIY projects from the wedding. This sign is made of old barn wood (hella hard to paint), and shows guests where things are located. When putting it together, my dad mixed up the party & vows (vows were supposed to be on top), but it doesn't bother me. You still get it. 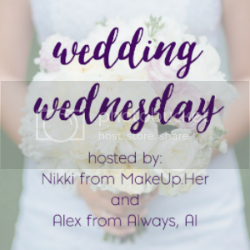 I am so excited to announce that I am joining Nikki as a host for the Wedding Wednesday link-up! Next week is my first week as a host, so please grab the button below if you would like to join! Wedding Wednesday posts are for anything wedding or marriage related.